The wood paneled game room on the JoCo Cruise is luxurious. It’s not just the bottomless cauldron of coffee or the terrible pizza on demand, but the truly luxurious experience of being able to find fellow players to join in on a game at nearly any hour of the day or night. The early risers start conquering kingdoms over breakfast, the afternoon and evening gamers overflow to other floors of the ship, and late night gaming morphs into morning. There’s more people checking to see what the maximum number of players are for a game than struggling to find the minimum. Luxurious, right? But we don’t live our lives on cruise ships, and it’s often a challenge to find enough people to play your favorite game on the spur of the moment. 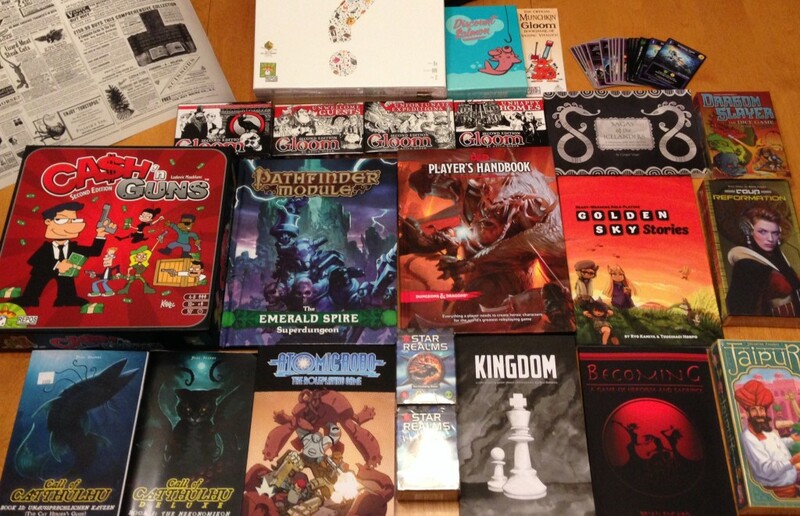 Over the last few years, Jenn and I have built up a roster of games we enjoy playing with just two players… and when we helped plan the gaming track on JoCo Cruise 5 this year, we put together the “It Takes Two” Event to share some of these games with our fellow Sea Monkeys. A stellar group of Helper Monkeys, volunteers and game designers abducted from vacation made the whole event possible by teaching these games. We wanted to share the list of games from the event both for those Sea Monkeys who attended but couldn’t remember the name of a new favorite… and for anyone else who’s interested in learning a new two player game. Do you have a favorite two player game that’s not on this list? Let us know in the comments below! Two players work together to build a castle… but each player wants to seize control of the best courtyards. In Castellan each player uses a set of castle walls and a deck of cards that determines what pieces can be played; the challenge is to claim the most territory by the time the castle is complete. A typical game of Castellan lasts 45 minutes. Invented nearly 40 years ago, Cosmic Wimpout is a classic press-your-luck game using five custom dice. It’s simple and easy to learn, and can be played in under ten minutes; the design allows even a losing player a last hope for a come-from-behind victory. While the basic game is very simple, there’s an assortment of variant rules that add complexity; some of the more popular rules can be found here. It’s the French Revolution, and everyone’s trying to get a head… or as many of them as possible. Each day there’s a line of nobles heading for the guillotine; you want to use your tricks to rearrange the line to ensure that you end up with the best nobles in your basket. Will you manage to end up with the head of Marie Antoinette, or will you be stuck with the heads of the lowly piss boy – or worse, the beloved Hero of the People? In this strategy game, players shape a board as they place their insect forces, achieving victory by surrounding an opponent’s Queen Bee. Each piece has its own unique move; for example, soldier ants can scurry to any position on the edge of the hive, grasshoppers leap over opposing forces, and beetles clamber over other pieces and immobilize them. It’s a simple and elegant game, and the pocket version is very portable – but it’s certainly a game that makes you think. A game of Hive generally takes 10-20 minutes. In Jaipur you assume the role of a trader seeking to amass wealth through careful trading of goods and camels. On your turn, you can either claim goods from the market in the middle of the table, or sell goods from your hand… but you can only hold onto a certain number of cards at a time. Will you hold out to try to get the most valuable combinations, or buy and sell as quickly as possible? Will you invest in camels or ignore the mangy creatures? Jaipur is a simple, fast game but has enough strategy to make every round unique. Looney Pyramids are a set of versatile tools that can be used to play a vast assortment of games. There’s even a handy searchable community wiki where you can find instructions for over 300 different two player Pyramid games that vary in complexity and length of play. With so many games to choose from, you’re sure to find something you enjoy! At It Takes Two, Kristin Looney taught people to play IceDice, Launchpad23, Treehouse, Pharoah and Pink Hijinks. In Lost Cities two explorers compete to explore the farthest reaches of the unknown. The deck of cards is divided into five suits – one for each of five expeditions – and it’s up to each player to decide which exotic locales to explore. Every card has a value, and once you play a card of a particular expedition – a 5-point arctic exploration card, for example – you can’t play a lower value card. As such, it is a game of strategy and patience as you try to decide which expeditions you want to commit to, and how long you should wait for the right card before committing to a journey. A “new classic card game,” Pairs is simple, fast and fun. It uses a unique deck, and beyond basic Pairs there are many variants you can try depending on the experience you’re looking for and the number of players you have available. At It Takes Two, designer James Ernest taught the two-player bluffing game Regent; you can find rules for Regent and nineteen other variations here. A huge hit in the JCC5 game room, Splendor place you in the role of a Renaissance gem merchant struggling to gain prestige. Gather chips and invest in valuable mines as you hope to lure nobles to sample your wares. While Splendor supports up to four players, it is an excellent game for two. This science fiction game blends the deckbuilding feel of Ascension with the direct conflict of Magic: The Gathering. Assemble and improve your fleet of ships and bases, and hold off your enemies until you have the power to crush them. It’s fast and simple, and each of the four factions within the game enhance a different style of strategy, allowing you to pursue different paths each time you play. 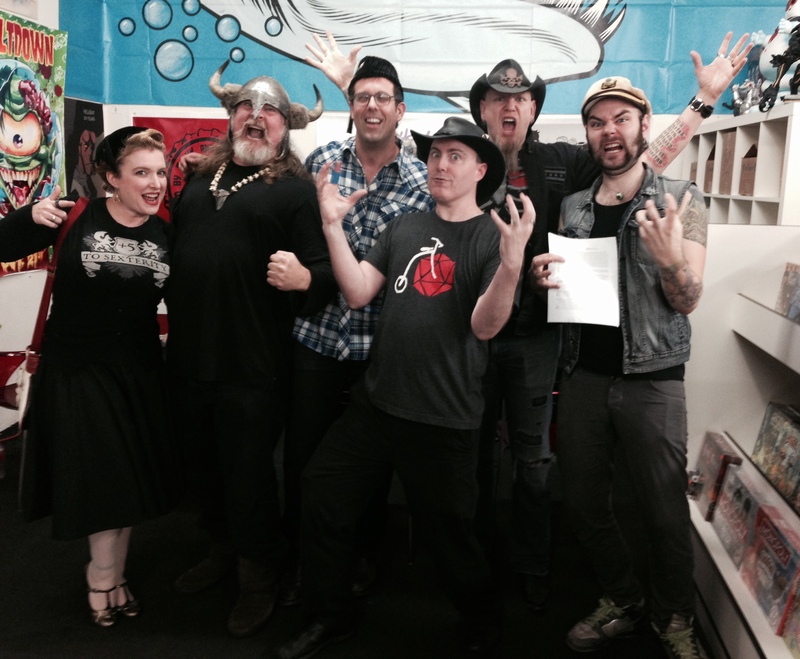 Elisa Teague, Kirk Thatcher, David Nett, Keith Baker, Jason Charles Miller, and Cig Neutron! This weekend I was in Los Angeles for ChariD20, a charity roleplaying event raising money for Reach Out And Read. This is the fourth time I’ve developed and run an adventure for ChariD20, and it was the best year yet. The participants were fantastic, the games went well, and we raised twice as much for the charity as we did last year. Each session was only two hours long, and it was an interesting challenge for me to develop a two-hour adventure that still felt like a complete story – especially knowing that many of the players wouldn’t be familiar with the rules. I’m happy with the outcome. Donors: I need to make a few edits to the adventure based on play and then it needs to be approved by Wizards of the Coast before I can pass it on to you. So it’s going to be a little while before you get it, but I hope that it will be in your hands by the end of the month. John Rogers invokes the power of the Silver Flame! If you’d like to see how it went down, the recording is online at the CCDD website. If you missed out, you can still donate until November 12th; if you donate at least $10 you can watch the sessions and get a copy of the adventure as soon as it’s approved! Thanks as always to Satine Phoenix and Matt Mangini for organizing the event, to fellow DM Matthew Mercer for taking on my story, and to our awesome players: John Rogers, Javier Grillo-Marxuach, Jessie Pridemore, Kyle Vogt, Grant Imahara, Dodger, Mandy Morbid, Zak Smith, Joseph Scrimshaw, Ivan Norman, Cig Neutron, Kirk Thatcher, Elisa Teague, David Nett, Jason Charles Miller, Orion Acaba, Marisha Ray, Jenna Busch and Neal Fischer. And most of all, thanks to everyone who donated to Reach Out And Read! Last night was the trial run of the 5E Eberron adventure I’ve put together for ChariD20 – a event raising money for child literacy charity Reach Out And Read. The event is TODAY! The first game starts at 10 AM Pacific Time, where I will be running the game for John Rogers (Leverage), Grant Imahara (Mythbusters), Javier Grillo-Marxuach (Helix, The Middleman), Kyle Vogt (The Room), and Jessie Pridemore (RuffleButt Cosplay). You can see the full schedule throughout the day at the main website, along with links for donating and watching the games. Thanks to everyone who’s donated so far – It’s going to be fun! Extra Life: Double For Doernbecher! Donate to Extra Life here! I’ve been busy working on Phoenix, and I’ll have more to say about that soon. But I’m also making time for a few special projects, and I hope that you’ll support either or both of them. First up: On Saturday, October 25th I am taking part in Extra Life, a Charity program benefiting Children’s Miracle Network hospitals. 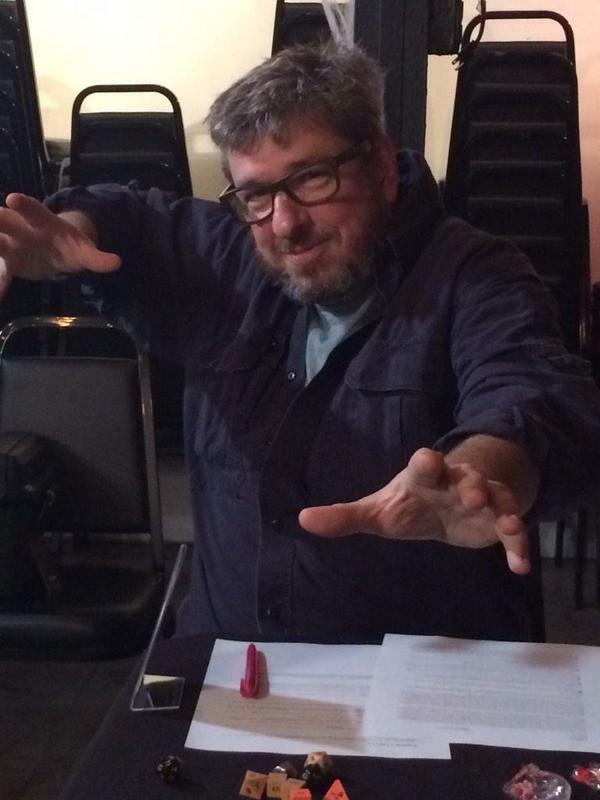 I’m participating as a player with the Dungeons & Dragons team: I’m going to be playing in the first 8 hours of a 24-hour D&D marathon run by gamemaster Greg Bilsland. The entire event will be live-streamed, so you can follow along with our perilous journey. My donation page is here, and I’m personally raising money for Doernbecher Children’s Hospital. 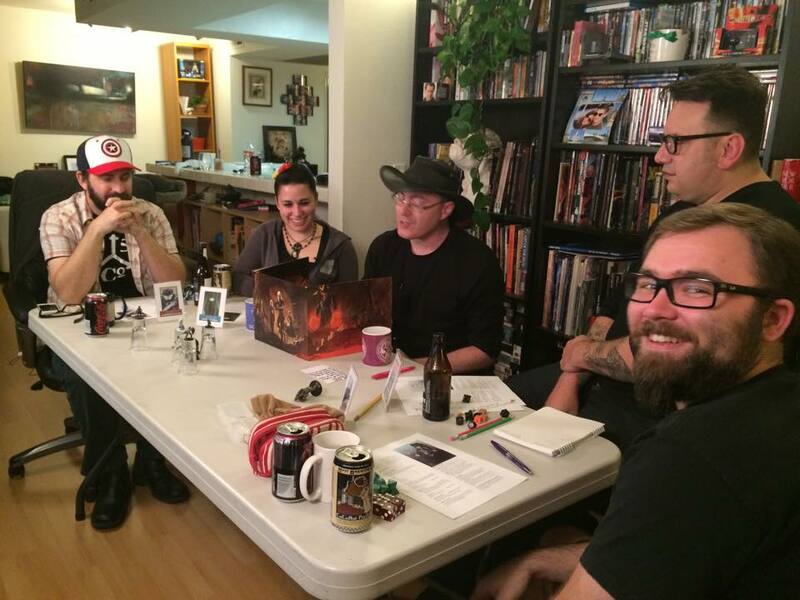 In exchange for your donations, you can help establish details about the character I play – everything from my name and class to my motto or battle-cry… plus, the more money I raise, the more benefits the DM gives to me, just like the Hunger Games! In particular, if you select an Eberron option for my Race or Class, I will develop 5E stats for that element and post them here. For Race, you can choose an Eberron specific race – such as Warforged – or a traditional race with a specific Dragonmark. Note that these will not be official and may not match whatever form official 5E Eberron support takes, and in the case of the Artificer I will only develop the elements of the class as needed for this adventure, NOT a full 20-level class with a full infusion list. Nonetheless, it is an opportunity to help an awesome cause and to get the wheels turning on 5E Eberron development, and I hope you’ll lend a hand! Once again, you can find my donation page here. A week later – on Sunday, November 2nd – I’ll be on the other side of the screen, gamemastering events for Celebrity ChariD20. This event is raising money for Reach Out And Read, a charity that promotes child literacy. I’m going to be creating a short 5E Eberron adventure with pregenerated characters. If you donate you can watch the livestream of the event, and with a donation of $15 or more you will get a copy of the Eberron adventure. You can donate here! Both of these are excellent causes, and I hope that you will help to make them both succeed. If you have any questions about either one, please ask. Otherwise, again, please lend a hand and support Extra Life or ChariD20. Thank you! Designing a setting for your game can be a mind-expanding experience. Whether you’re crafting cities for an MMO or mapping terrain for an RPG, you have the whole world in your hands. Designer Keith Baker leads a discussion on what makes worlds work. THIS IS NOT A PAX EVENT! Thursday night I’ll be spending a few hours at Card Kingdom. 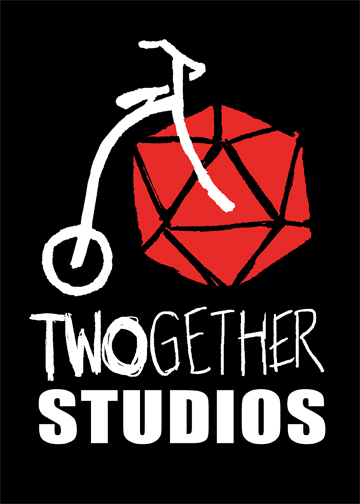 Come talk about Eberron, Gloom, or what I’m doing with my new company Twogether Studios! Take a look at Fairy Tale Gloom! This is going to be an informal event so drop by anywhere in that range. Fending off a horde of ravening zombies seems like child’s play, compared to wrangling the needs of a party of RPG gamers! GMs must wear the various hats of actor, guide, narrator, friend, foe, and many more… All while still staying sane and helping everyone bring the most fun to the gaming table. Ben Mandall and our panel of expert game masters will analyze what it takes to be a truly superb GM in an interactive panel that both first-time and veteran GMs will learn from. Bring your questions! Again, my Card Kingdom event has nothing to do with PAX, so you don’t need to go to PAX to catch up with me there. One way or another, I hope to see some of you in Seattle! It’s been a busy week getting ready for Gen Con – I hope I’ll see some of you there! If you’re going, here’s a few places you can find me. 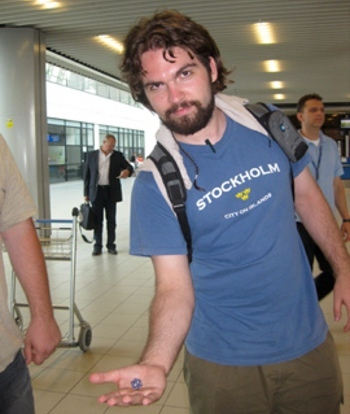 2 PM, Room 210: DUNGEONCRAFT LIVE! Kenneth Hite, Ray Winninger and I will be providing our best GMing tips. The role of the divine is an interesting part of world design. How do you make faith matter in a setting? How do you involve deities without making mortals feel irrelevant? I’ll be discussing these topics and more with Greg Stafford and Steve Kenson! Horror campaigns can be tricky to pull off in RPGs. 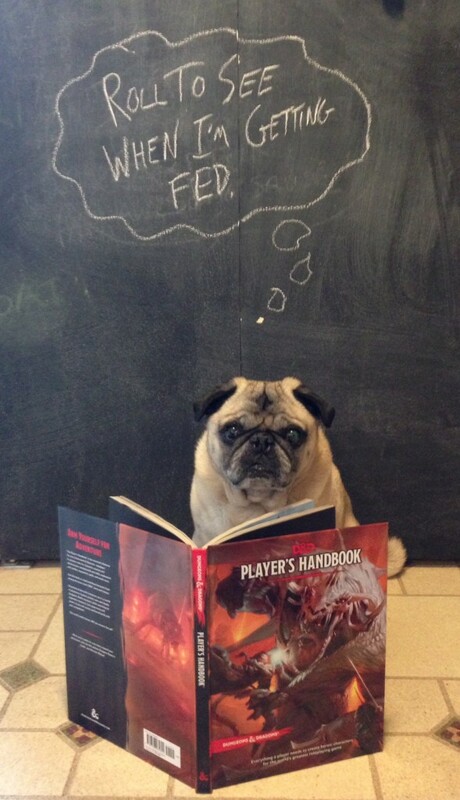 How do you overcome player knowledge? How to you address the fact that people playing a horror RPG are expecting the unnatural? I’ll be exploring the subject with Kenneth Hite, Shane Hensley, and Andrew Hackard. 5 PM – 7 PM, Hyatt Lobby: GEN CON MEETUP! One of my favorite things about Gen Con is getting a chance to catch up with old friends and meet new people. I’ll be hanging out in the Hyatt Lobby for two hours, and happy to talk about Gloom, Eberron, or any of the projects I’m working on now! If you’re not going to make it to Gen Con, I’m also going to be at PAX Prime, Rose City Comic Con, and Geek Girl Con. If you are going to be at Gen Con and plan to attend one of more of these events, leave a note below… especially if you have a topic you’d like to see covered at one of the panels! San Diego Comic Con 2014: Gloomy Plans! Want a peek at the next Gloom product? I’m going to be playing a round (using an early prototype deck, to be clear) with awesome musicians Molly Lewis and Marian Call. Drop by and take a look! Five tables of Gloom, giant Story cards, and awesome celebrity players like Patrick Rothfuss, Boyan Radokovich, and Nika Harper! Unfortunately the tables are all filled, but it should be a good spectacle. A few years ago I created a science-fiction themed version of Gloom that you will NEVER see published. If you want to see Wesley Crusher Set Up By Sith and Captured In Carbonite, this is the game for you. This year I’m adding a few new cards tied to one of my favorite TV shows, The Middleman, and playing with Middleman creator Javier Grillo-Marxuach and Middlewriter Margaret Dunlap. I expect both hilarity and hijinks! 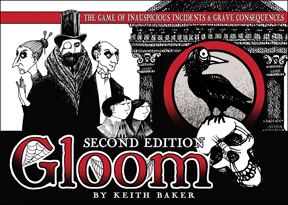 Beyond that: on Thursday I will be hanging out at the G&S Lounge off and on, talking about all the things and playing Gloom. Beyond that: I’m also going to be at Gen Con and PAX Prime. I hope to see some of you soon! A few years back I told Jenn “You know what would be awesome? 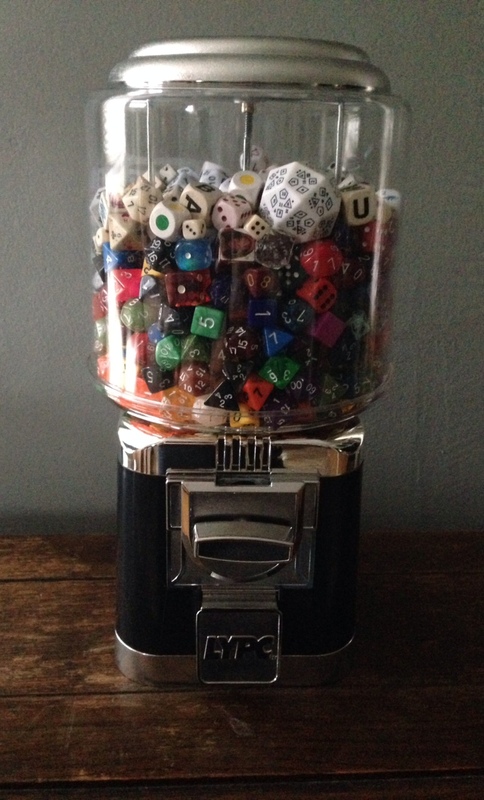 A gumball machine filled with dice.” I forgot about it… she didn’t. So meet the newest addition to our house. It’s just as awesome as I expected, but it’s not a small machine. Jenn included a few pounds of dice as part of the present, and I’ve added in all the loose dice I had around the house, but that’s still left us with a significant amount of room at the top. And that gave me an idea. As gamers, dice are our faithful (and sometimes treacherous) companions and tools. We have our favorites, we have superstitions, we have memories of amazing critical hits and tragic fumbles. One of my favorite experiences during my Have Dice Will Travel tour was the story of how D&D came to Bulgaria… in particular, how for many years it was very difficult for Bulgarian gamers to acquire dice. A set of dice was a relic to be treasured by a gaming group. At one point the first Bulgarian gamer had to sell some of his dice to raise rent money. Stop and think about that for a moment: you need some significant cash, fast, so what do you do? Sell some dice, right? At the end of my trip to Bulgaria, my guide Stefan gave me one of those very dice (both pictured below), and that little grey die is one of my regulars today. It’s not much to look at, but once upon a time it was one of the only dice in Bulgaria. Dice aside, I love hearing people’s stories about how they started gaming, why they play, or favorite moments. It’s especially great to hear from people who have enjoyed something I’ve done – to hear YOUR stories of Eberron, Gloom, or anything else. Last year at Calgary Expo I met a pair of newlyweds who’d met in an Eberron campaign; the year before I met a soldier whose unit played Eberron in Iraq using dice made out of toilet paper. So I have a diceball machine with empty space at the top, and thousands of people out there whose stories I haven’t heard. I could just buy another two pounds of dice, but I thought I’d do something different. I want you to send me a die and a story. It doesn’t have to be your favorite die, and it doesn’t have to be an epic story; just tell me something about you. Why do you game? What was one of your favorite moments? If you played in Eberron, what’s the most awesome thing you did there? I’ve made a layer of white at the top of the machine so I can tell where the story dice begin, and if we get enough I’ll drain it from below. Perhaps someday every die in the machine will have a story. … or catch up with me in person somewhere! Let me know if it’s all right to share your story with others, and make sure to include your email address so I can follow up with you. And please pass this along to anyone you know who might be interested. As long as I’m talking about the stories of dice, I’d be remiss if I didn’t mention The Bones, an anthology assembled by the brilliant Will Hindmarch. The Bones includes stories from Kenneth Hite, Matt Forbeck, John Kovalic, and many others… including a more detailed account of my time in Bulgaria. In the days ahead I’ll be writing about Phoenix, Gloom, and the many exciting projects I’ve got lined up for 2014. I’ll be back with more Eberron Q&As. Until then, I hope you’re having a fantastic holiday, and I hope you’ll share a story with me!